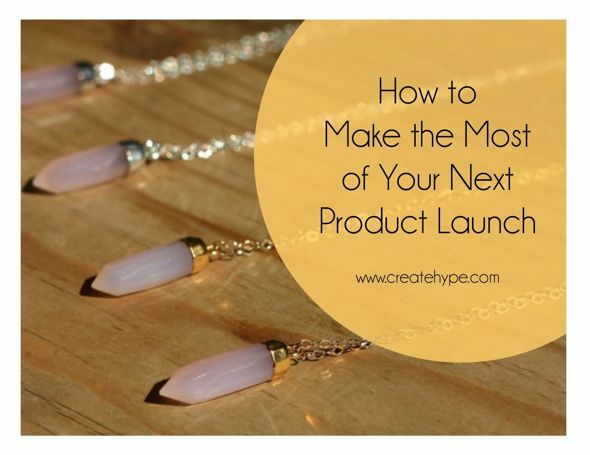 You can create buzz and excitement about your business no matter what it is you are launching. For instance: introducing a new product to your range, bringing on a new brand or partner, starting a blog or a newsletter, doing any sort of rebranding, moving to a new location or unveiling a website, even implementing a new strategy such as group discounts, referral bonuses, party plan sales etc. As the builder of a little biz, I bet you have introduced new products and new initiatives to your business a few times already. Perhaps you made a big announcement, perhaps you celebrated with a give-away, perhaps you had a special offer for your fans. These strategies are fine, but I think you can create a much bigger splash the next time you have something new to share with your customers. To really make a splash with your launch, get the help of your supporters, your true fans and the influencers in your niche. The more people you have talking about your launch, the more buzz you get for your business, not to mention having a more successful launch all together! These are the people who have supported you and your business right from the start. They may be your friends and family, people from your local or online support/networking/mastermind groups, peers or fellow business owners. these people don’t necessarily have to be customers who have bought from you before, they just need to love what you do and be genuinely supportive of your efforts. These are the people who already promote your business and recommend you to friends, buy from you consistently, comment or start discussions on your facebook page/twitter/blog, respond to your emails, share your links/posts/tweets with others – these people are already true fans. These are the people who are respected and valued by your target audience. Think about where your ideal clients are hanging out – both online & off – (blogs, facebook pages, forums, networking groups, shops, markets etc.). you might consider business owners who sell products that are complementary to yours, and even ones that are your competitors (though they may target a different subset of the niche, or be offering something different to you). Once you have a big list of supporters, fans and influencers, approach them about helping you with your launch! • Ask them to write about or talk about the exciting new thing you have brewing. • Ask them to help you amplify your new message and spread the love by posting, commenting, tagging, tweeting etc. • Invite them to have access to your launch special or offer them a special VIP price. • Offer a sample, a tester, a freebie or a trial of your thing. They need to try it in order to rave about it genuinely! • Ask them to write reviews (to be posted on their blogs/newsletters/websites) or testimonials (which you post on your site). • Give your influencers, supporters and fans some free publicity in return for their support – shout out their businesses, share their links and logos, thank them publicly and often! • Make it easy for them: pre-write tweets, facebook comments, interview questions, prompts for testimonials etc. so that it is easy for people to share your news. Have images, logos etc. on hand for them to use. • Consider starting a referral or affiliate program to reward your fans and supporters for sending you customers and clients. • Have all of this ready as a package and pitch it professionally. Even your closest friends will appreciate your organization and professionalism. P.S. If you loved this post, you’ll love Karen’s fabulous training programs featured on her blog, build a little biz. I’ve heard great things!